Even if you're good at physics and know the nature of different phenomena, you just can't help being surprised at how impressive they are. Let's just take a look at the pictures that we've found for you. The photographers managed to capture ball lightning, an underwater ice sculpture, and even a smoke vortex. Bright Side is going to tell you about some rare phenomena that will show you that mother nature doesn’t need Photoshop to impress. A brinicle looks almost like an underwater crystal. It’s formed when salty water leaks out of sea ice, then it sinks into the sea and creates this incredible underwater ice sculpture. Because of the low temperature that is required for these brinicles to form, they only occur in the oceanic waters around the South and North poles. Snow rollers are natural phenomena formed by winds. Chunks of snow are blown along the ground, picking up material along the way. Snow rollers have been known to grow as large as 2 ft in diameter. These “balls” are often hollow since the inner layers, which are the first layers, are weak and thin. These clouds are known as mammatus (meaning “mammary cloud”). They are formed by cold air that creates pockets contrary to the puffs of clouds rising through warm air. This interesting cloud only lasts an average of 10 minutes, but a whole cluster of mammatus can last from 15 minutes to a few hours. 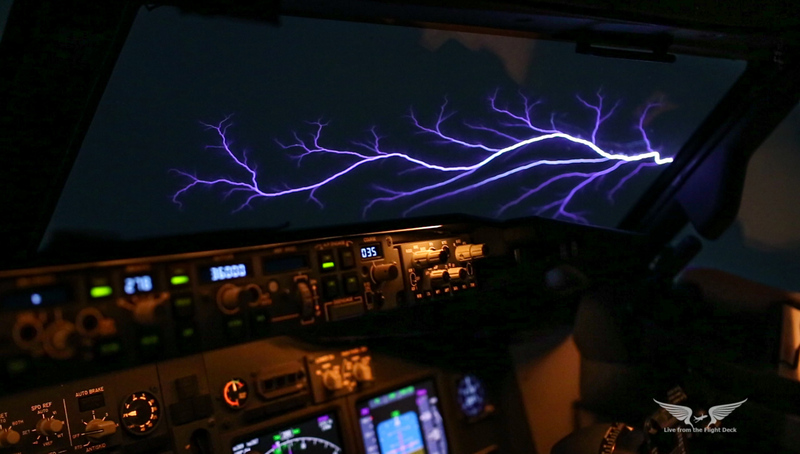 St. Elmo’s fire is a form of a coronal discharge from a sharp object in a strong electric field in the atmosphere. It usually occurs before a storm or during a blizzard in winter. Additionally, this light may appear along the leading edges of an aircraft that gets into an ash cloud. Many sailors of the past believed that coronal discharges were favorable omens and named them after their patron, St. Elmo or Erasmo. A glory is an optical phenomenon caused by water droplets, consisting of concentric rings and somewhat similar to a rainbow. These rings occur because of light diffraction. To enjoy this illusion, you have to stand on a mountain or a tall bridge with the light source (the Sun or the Moon) right behind you. In contrast to other natural phenomena, the true nature of ball lightning is still unknown. According to the most common theory, it’s an atmospheric electrical phenomenon, a type of lightning that resembles a ball, that occurs during a thunderstorm and moves in strange trajectories. Some scientists think that ball lightning appears because of phosphenes (a phenomenon characterized by the experience of seeing light without light actually entering the eye) or simply hallucinations. Nevertheless, we can’t ignore witnesses who have faced this rare phenomenon, taken a picture or recorded a video — after seeing this, we know it can’t just be a hallucination. A halo is a glowing ring appearing near the Sun, Moon, or even street lights. This phenomenon is produced by sunlight interacting with ice crystals suspended in the atmosphere (at an altitude of 3-6 miles.) Light is reflected and refracted by the ice crystals and may split into colors because of dispersion. There are many of kinds of halos resembling circles and arcs — you’ve probably seen one during a bright and cold winter day. A light pillar is a rare kind of halo that occurs because of the reflection of light from numerous ice crystals suspended in the atmosphere. As a rule, you have a chance to see this phenomenon only if it’s really cold outside. You’ll be able to enjoy this beautiful phenomenon if the Sun is hidden behind thick clouds and there’s also a thinner cloud nearby. Depending on the sun’s position, a cloud may appear colorful as light rays of different wavelengths are deflected in a special way, and as a result the light of these waves shows up to our eye in different directions. The colors are usually pastel, but can also be very vivid sometimes. A mirage occurs when light rays bend between air layers of different temperatures. In this case, light rays produce a displaced image of distant objects or the sky. There are several types of mirages. For example, a lower mirage (like in the picture): looks like a sparkling water surface in a desert, when in fact it’s just the sky’s reflection above the overheated sandy ground. Higher mirages are common for the northern regions since there are big and flat ice floes. Maybe thanks to this effect, Icelanders discovered Greenland. This rare optical phenomenon consists of several forms of mirages. These mirages significantly distort the objects on which they are based and you can see this effect in this picture taken in Australia. The phenomenon is named after the fairy Morgana who is believed to live at the bottom of the sea. A Fata Morgana occurs because rays of light are bent when they pass through air layers of different temperatures that are able to create a mirror reflection. Here’s one more kind of mirage. It’s a polar mirage occurring in both the Arctic and the Antarctic. It gives the impression that the Sun is rising earlier than it actually should and depending on the meteorological situation, the Sun looks like a line or a square. Light rays are bent and refracted in different layers of atmosphere and it seems that the Sun is higher than it actually is. As you probably get from the name, people noticed this phenomenon on the archipelago of Novaya Zemlya. On January 24, 1597, an expedition crew saw the Sun 2 weeks before the end of the polar night. In July 2017, people were scared by a huge black ring over the M62 in West Yorkshire, England. Some people think these are UFOs or even portals to another world. But scientists have an explanation: these creepy black rings are just smoke vortexes. For example, in Yorkshire, it was just the byproduct of cannon fire at a battle re-enactment. RIngs like these have also been noticed in California, Kazakhstan, and some other places. Have you ever seen any of these phenomena? Were you impressed?